The best athletes in the world have … bad teeth? A whopping 40 percent of British footballers have poor dental health. A new study has found that four out of every 10 football players in Britain having rotting teeth — and it’s gotten so bad that it affects how some of them play. It’s one of the most common stereotypes of the British: their bad teeth. 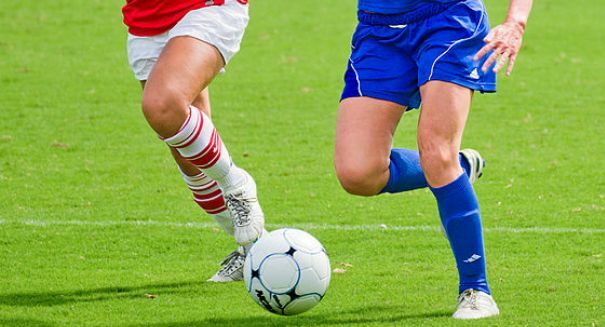 But a new study indicates there may be some truth to it — at least for their athletes — as 40 percent of footballers appear to have bad teeth and gums compared to similarly aged Brits, according to an Agence France Presse report. Ian Needleman of the UCL Eastman Dental Institute, who was the lead author of the study, said the some players had tooth decay so bad that it was causing an infection in the jaw, he said according to the report. It’s unclear why athletes with so much money eschew basic dental health. Perhaps they don’t have the time to do so with their busy travel schedules, or perhaps they don’t want to admit they’re suffering from tooth pain. Either way, the study — which was published in the British Journal of Sports Medicine — indicates that it may be affected how well they play. A total of 187 in eight English and Welsh clubs were examined, include five Premier League teams: Manchester United, Hull, Southampton, Swansea City, and West Ham. About 37 percent of the players had active tooth decay, and half of them had acid eroded teeth. And about 80 percent of the players had gum disease. One in six of them reported pain in their mouth, and one in four reported sensitivity to cold and hot substances.